Samurai Girl: Shiretoko, the World Heritage!! Today, I have too many pics to show you. 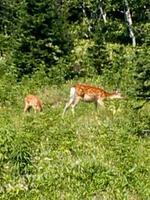 I ran across, say, wild deer!!!!! They were very cute! It is my first time to see such wild deer! They weren't scared people at all, so that I could take some pics;) I was very exciting so I got off my dad's car and approached deer. They were eating grass. 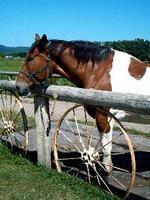 They were used to people very much. When I said to them, "I wanna take your pic!" they turned their faces toward us;) So cute!! But many deer are killed by cars because they approach people's cars without hesitation. I want them to be more careful! 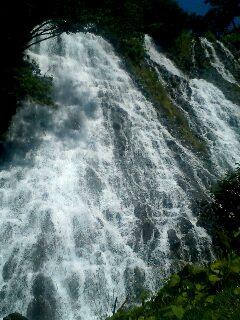 We went to Oshinkoshin waterfall. It was a magnificent view, and I was impressed by it. 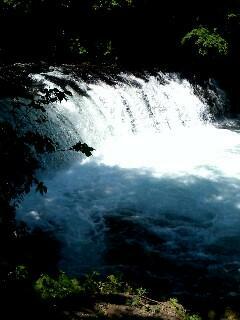 Oshinkoshin means "Three waterwall" in an old Ainu language. And, I saw other waterfalls. In one small waterfall, fish were trying to overleaping it to go to the place to lay their eggs. I saw much fish jump. Some of them succeed in jumping over waterfall, but most of them couldn't do it, and died. It is very sad story, isn't it? I went up a big observatory and saw a beautiful ocean!!! This observatiry was a huge monolith! I had to climb a long stairs to go to the top of it. Many people who were older than me overtook me. I realized that my strength began to decline...I must play sports more!! 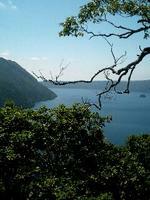 I have been very exhausted when I was in the top:( But the view from there was very beautiful. At the end of our trip, I ate a delicious *kaisendon like pic:D There were *uni (urchin) and *sashimi on rice!! In Japan, uni is a very expensive food. It was very good!! I came from Yuki's blog. I went back to my home towm till three days ago and I went to Siretoko too!! but the deers aren't rare for me! Automobile insurance won't help the accidents cars collides with deers.terrible!! 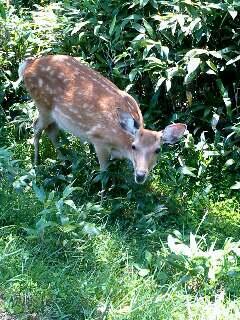 When I went there, there were many many deer!! Maybe about 20! Yesterday, I saw deer in my hometown! I was suprised! Yeah, I think that Shiretoko gavornment should make deer insurance!! I just came back from Hokkaido today. We also went to Mashuko, but it was completely foggy. We could barely see past the fence! My friend says there was a popular song called "Foggy Mashuko"...that is all we saw. Anyway, thanks for the picture - now I know what I was missing. wow ..u go a lot of places !! Wow! The water looks so blue! Hey! I just went to your blog:) Your pics were very nice too!! I can't see everything about Hokkaido although I live there. I don't wanna see places only of Japan, but also of many other countries!! Thanks! These pics that are on my blog were taken by my dad's sell phone. Can you belive it? 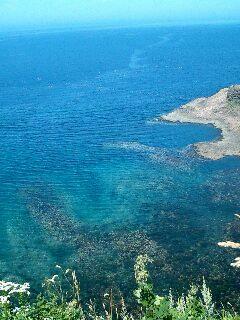 I love blue ocean but one of my hometown is very dirty....and there are many "No Swimming Here" signs..OMG!! every road we drove on had those tall poles so you know where to go when the snow is deep. it must be a long winter! Oh wow..what amazing pictures Haruna! I am soo visiting Japan as soon as I can. Looks like you had a lot of fun. I am a big Otaku of your lovely blog. Is "Otaku" common word in South Africa? That's great!! !